To achieve easy-to-use and comfortable human machine systems, it is necessary to define usability and comfort for each task domain, which are task-dependent and composed by various factors, then apply them to design and control of mechanical systems. 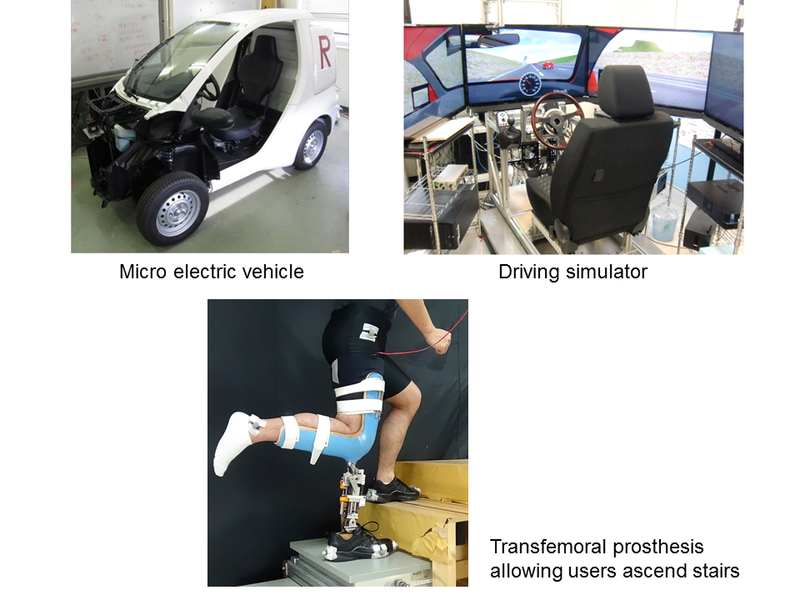 The Human Robotics Laboratory tackles these challenging problems by conducting research studies of mathematical modeling of human sensorimotor systems and method to apply them to design and control of intelligent mechanical systems. Humans integrate various sensory information such as visual, tactile, and vestibular senses and understand self-motions. 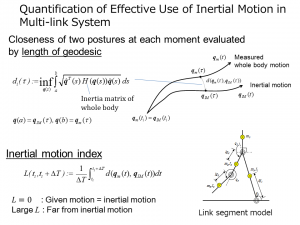 Efficient motor control to achieve desired body motions is performed by leveraging them. The Human Robotics Laboratory conducts researches on cybernetic modeling of human motion from sensory systems to motor control. These researches are expected to be widely applied to evaluation and control methods of comfort in operating or using machines. In human skillful motions, dynamic properties of human body have plays an important role in addition to sensory information and motion control / planning. This dynamic property should be skillfully incorporated even in software of motion control that humans construct in the central nervous system. While such a way of thinking is well accepted, nature of the dynamics of multi-link structures like human body and how human beings utilize it are poorly understood. 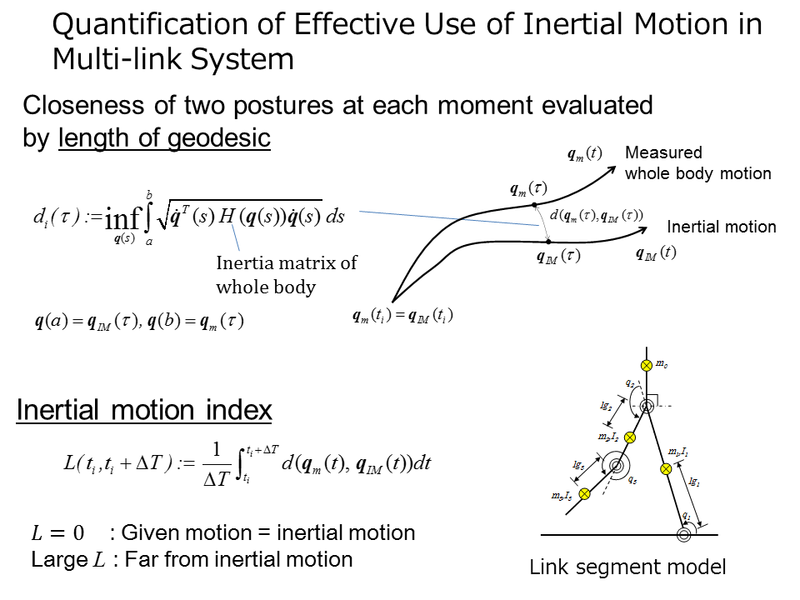 In this research, motion information emerged from the nature of the multi-link dynamics is investigated as a complementary to 1) cybernetic modeling research. There exist still unsolved problems in robot control domain due to strong nonlinearity of its dynamics. 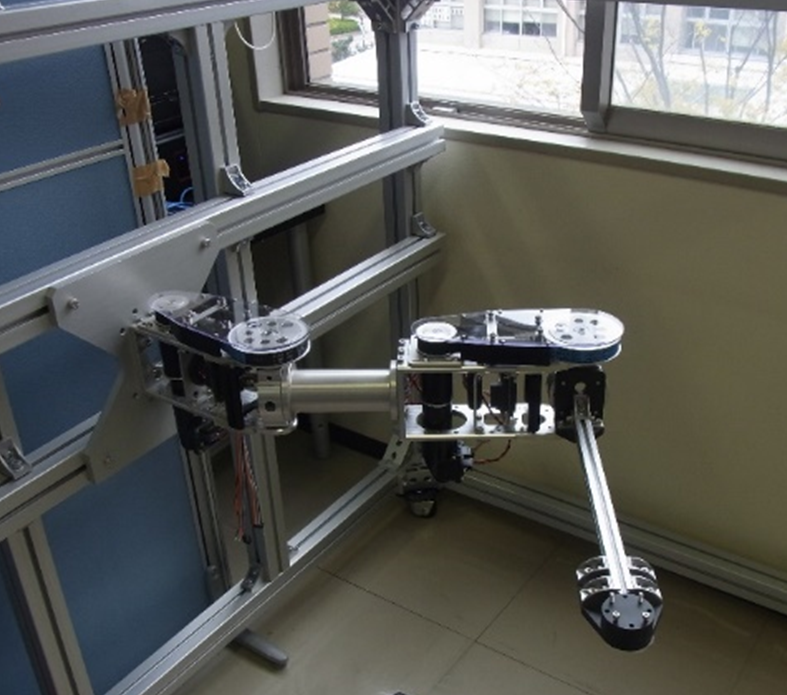 For example, most of the robot controller could guarantee only exponentially stable, in which the error converges to zero when time goes to infinity, but does not in finite time. In addition, the trade-off between stability and task execution performance of the controller in human machine systems are still challenging task. We conduct research studies on control theory of robots that work in physical contacts with humans. The outcomes of this research can be applied to investigation of controller in human movements. Researches on human machine interfaces and control of human machine systems are conducted with the emphasis on tasks in which human operator and automation shares the control effort. 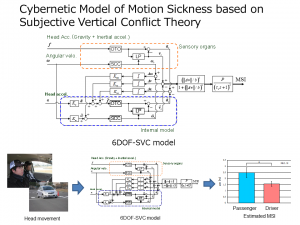 Methodology of design and control of human machine systems to achieve that they should be by leveraging fruits of cybernetic modeling of human sensorimotor systems and control theory researches.